When you hear the words oral surgery, you may think of a hospital setting, general anaesthesia, and one or more days in recovery from this type of dental procedure; but you might be surprised to know what is actually considered oral surgery in dentistry. Many procedures done in a general dental office are considered oral surgery and patients that require such procedures are booked for the procedure without the inconvenience of being put on a waiting list for treatment. Your dentist will refer you to see the surgeon if he/she feels your situation will benefit from a surgical treatment option. Dental implants are becoming a common procedure to replace missing teeth, or provide stability to a new or existing denture. Preformed by a dentist or oral surgeon, the procedure for placing a dental implant may vary depending on the technique used by the dentist or surgeon, and type of implant used. 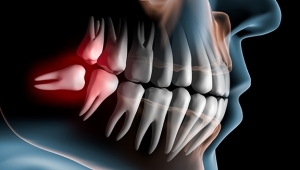 Most people that have had a dental implant report the recovery was similar to that of a tooth extraction and they were able to return to normal eating within a week of the procedure. Over 34, 000 Americans will be diagnosed with oral cancer resulting in 8,000 deaths, in this year alone. Your dentist is highly skilled when it comes to detecting oral cancer, as the signs of this devastating disease typically go unnoticed and are not easily detected. If your dentist discovers something suspicious in an area of the mouth, face, neck or jaw that may have an underlying problem, a biopsy may be preformed to further diagnose a possible condition. A biopsy is usually a surgical procedure that is used to remove a piece of tissue in an area of the body that is suspected as being diseased. You may be referred to an oral surgeon for the biopsy, but in some cases this procedure may be performed by your general dentist. Oral surgery is commonly used to treat oral cancer, and may be used as a combination treatment with radiation therapy. Oral Surgeon – What is an Oral and Maxillofacial Surgeon?